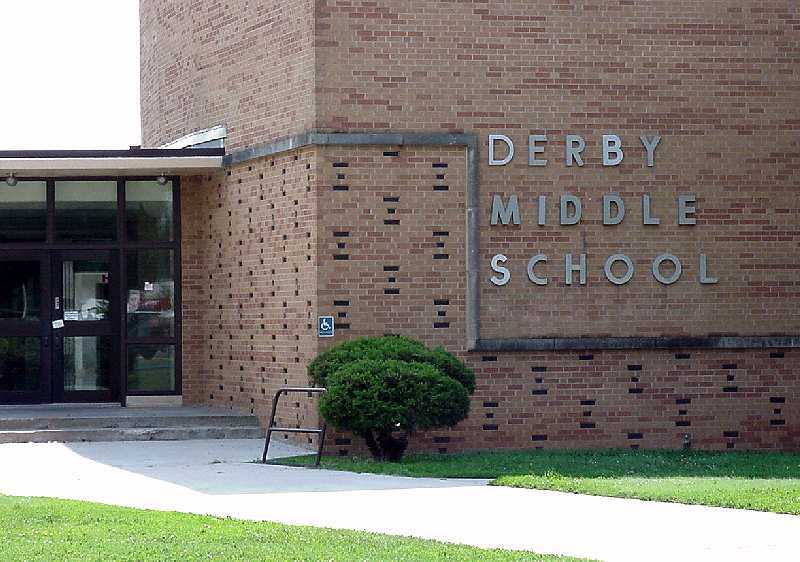 "The way we were..... uh, are"
Although Derby was a small town, it was big enough that the Class of 1964 came from several grade schools: Pleasantview, Swaney and Oaklawn, and the original Derby Grade School. Derby is now a much larger town (about 20,000 people), and is still growing. 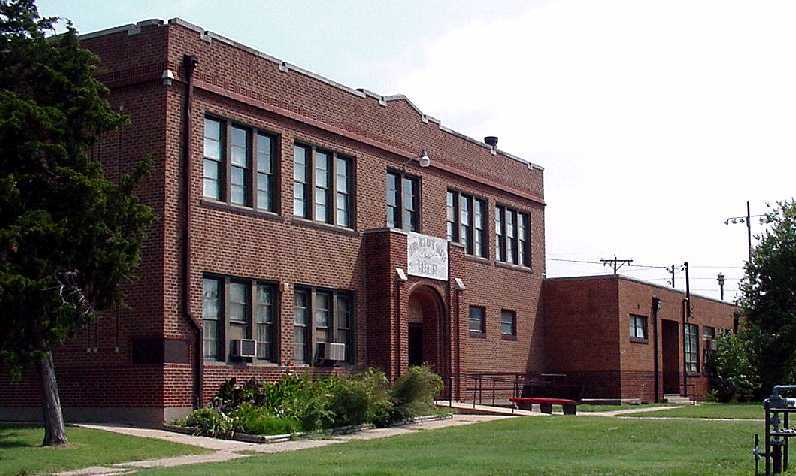 We now have many more grade schools in the school district and this building is now used as a museum. 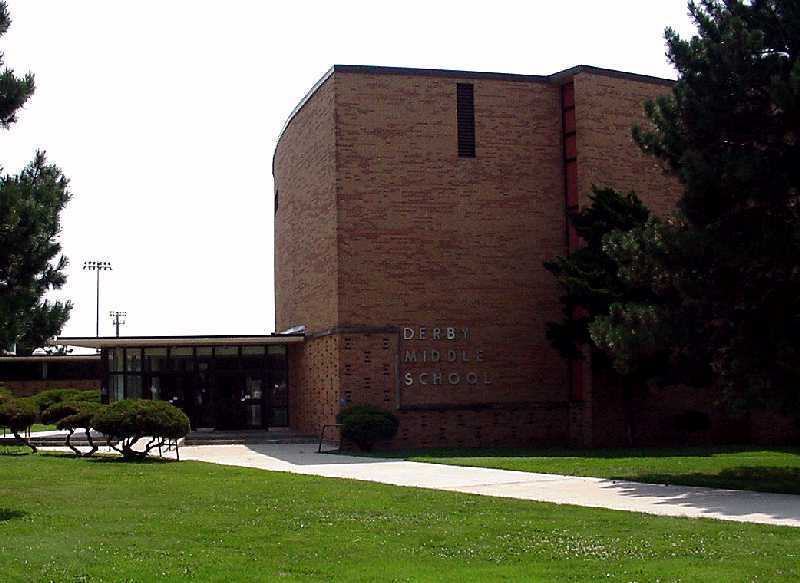 While they were building the new high school in the early 1960s, many of us started Junior High in the old Derby Grade School Building (Remember our principal, Mr. Johnson?). 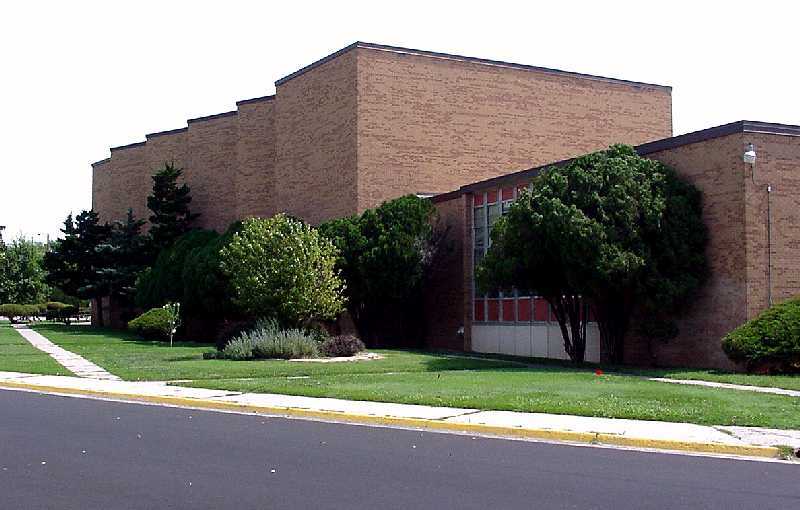 Then the 'new' Derby Senior High School opened and we moved into the old High School building, and became the first students of the first Derby Junior High School. 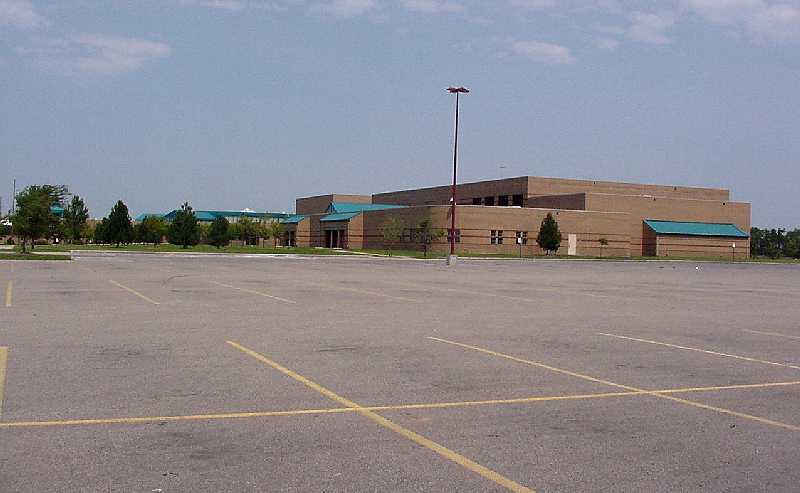 Sometime after that, the Carlton Junior High in Oaklawn was finished (mid-year) and our class was split in two. Before the Carlton students left, we voted on mascots. Somehow they got to be the "Eagles" and we became the "Bulldogs". Well, the red and white Derby Bulldogs are still around. Carlton was closed years ago. Well, things kept right on changing .... 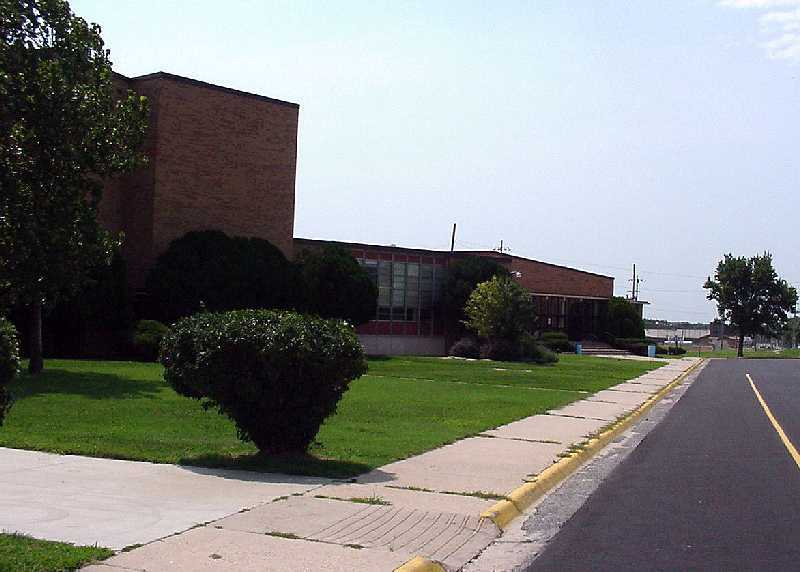 The old Junior High is now a Sixth Grade Center. 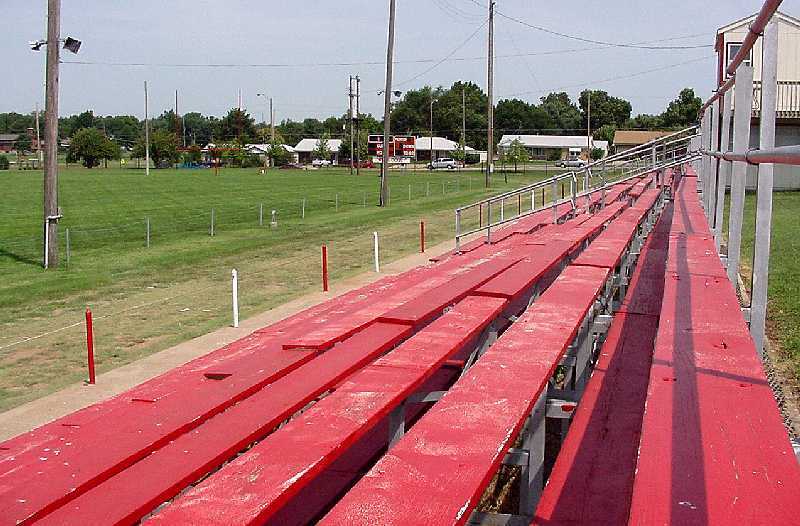 Our old high school football field is still around and in use, but they have painted the benches bright red (Middle School colors) ... instead of our classic dark green. 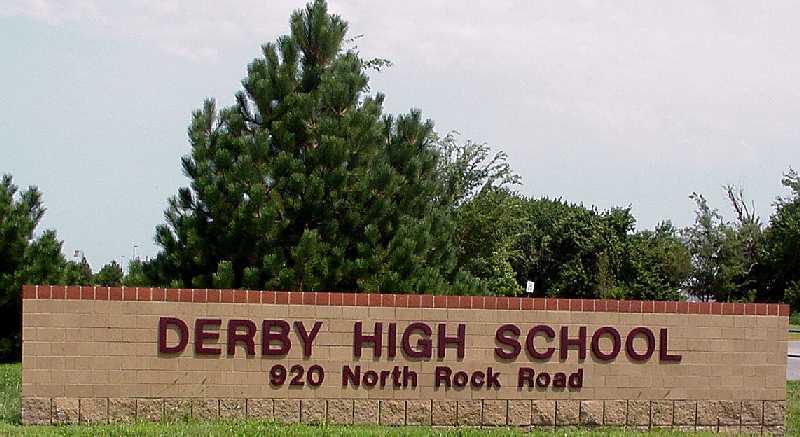 As I recall, the Class of 1964 was the first class to spend three years in the new Derby Senior High School. 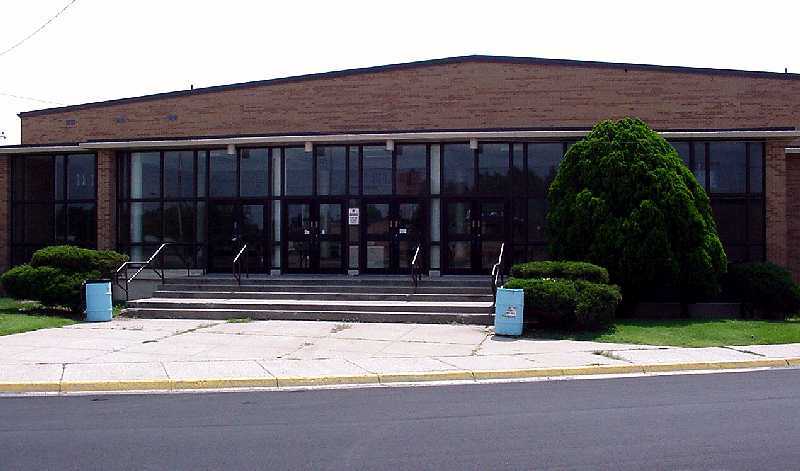 The building continued to be used as the high school until the middle of the 1992-93 school year. A brand new school was built on farm land east of Rock Road and north of Madison. The new school is huge by our class standards, with almost 1800 students (Freshman through Senior) enrolled. 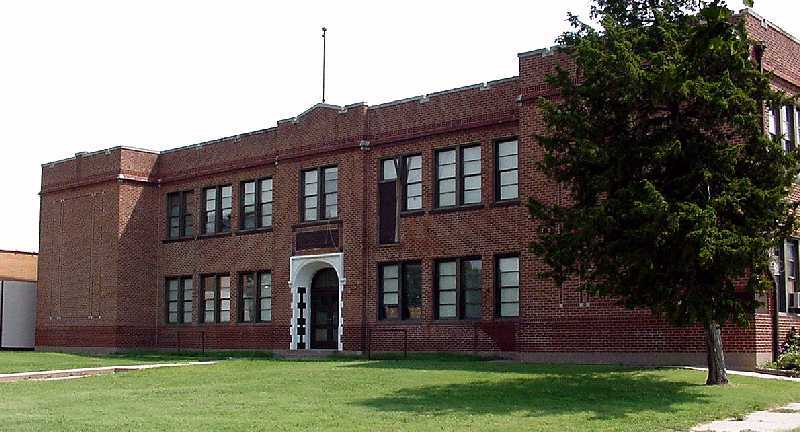 The old DSHS building became the Derby Middle School for grades seven and eight. There have been a number of changes to the old DSHS building but a lot of things have remained the same from the Sixties. Many of the mosaics that the Art Department (and the Class of 64) put up are still there. There are have been some major additions and there are several 'temporary' classrooms in use. 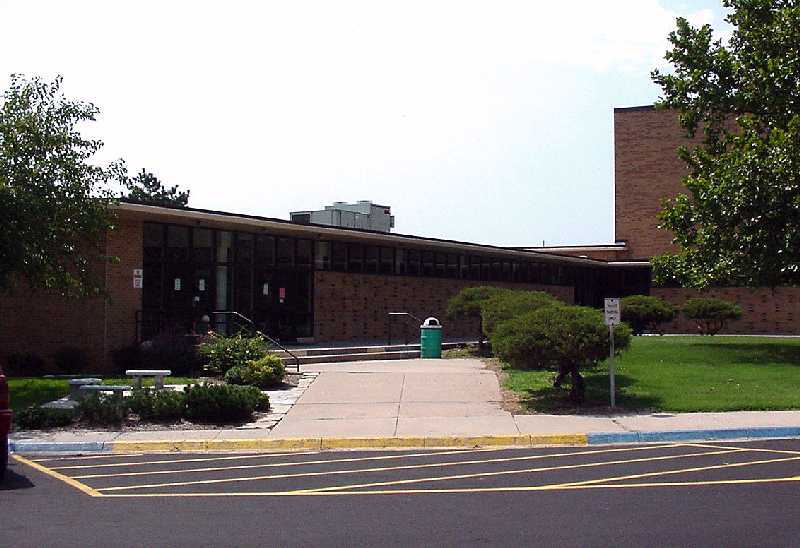 A new lunchroom was built (lower right) in the big grassy area south of A Hall, and the old lunchroom became the library. The old library became a choir room and so on.... and of course, there are now rooms full of computers... but the building still 'feels' the same as it did in 1964. 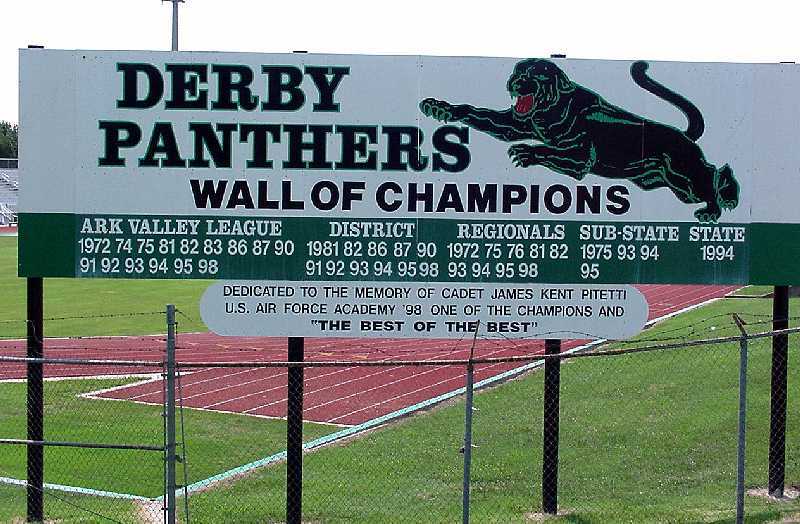 Derby is very proud of their football team and built a new stadium in the late-1960s. Since then, Derby has generally had an excellent football team and were State 6A Champions in 1994, beating arch-rival Lawrence (!?!) in a good game. 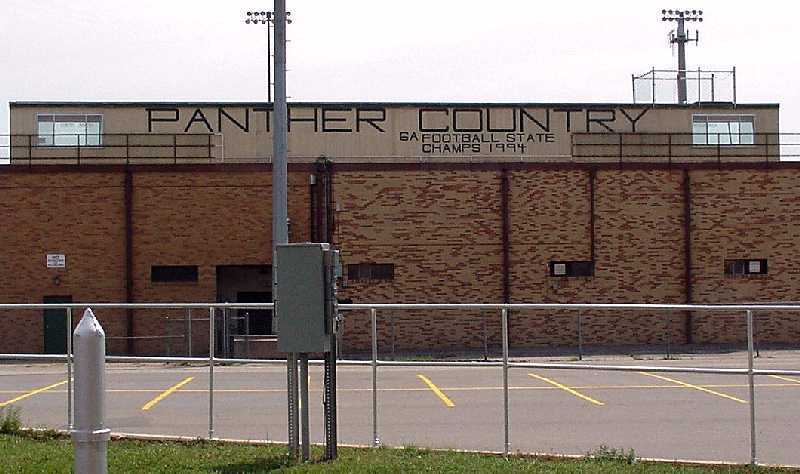 The stadium is still used by the High School and lots of bleachers and a huge press box have been added over the years. 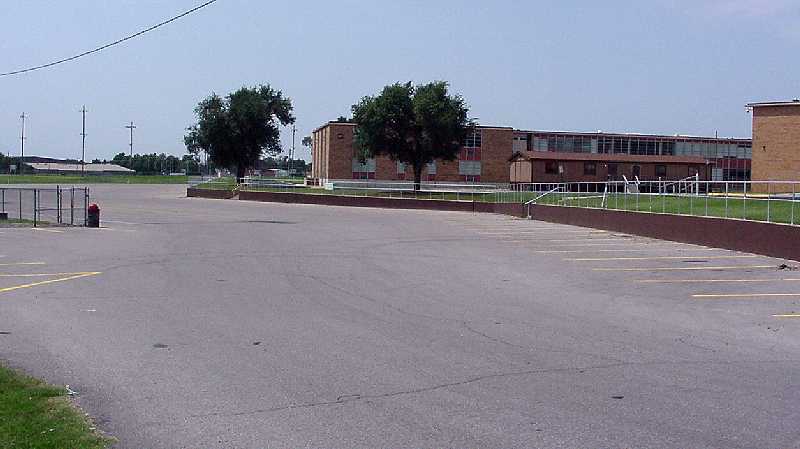 The large parking lot (above) between the old high school (it used to be a wheat field, I think) and the stadium serves the overflow crowds that attend the games on Friday night. 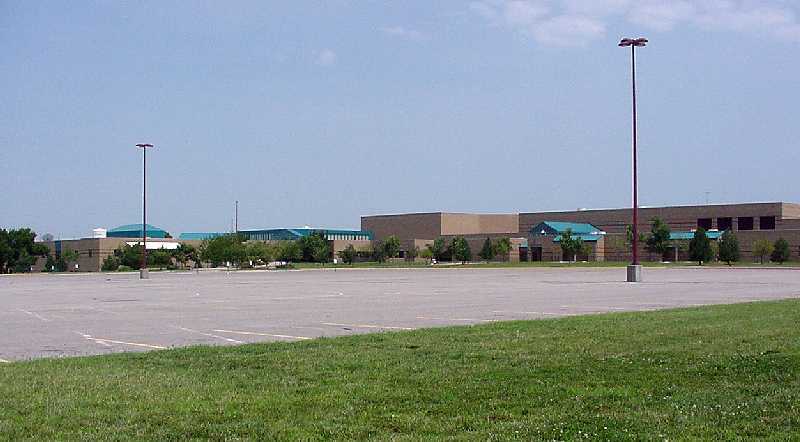 The new Derby High School is large and modern, setting on a parcel of nearly 600 acres of land east of Derby. 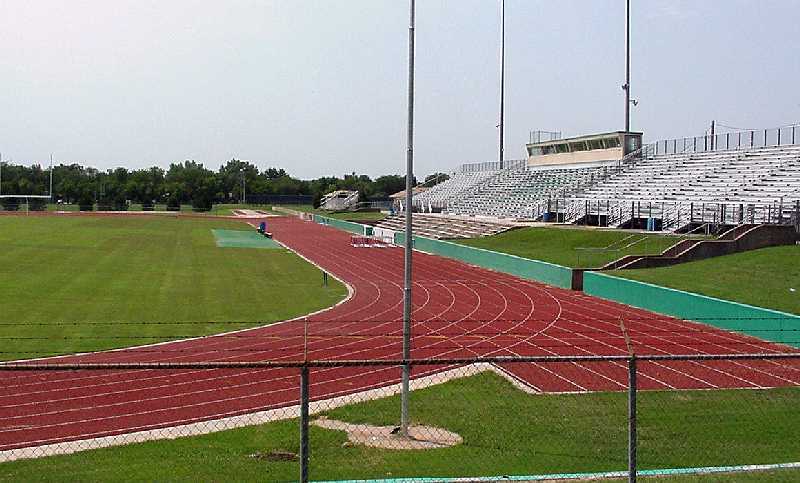 It was built at about same time as new high schools in Rose Hill, Mulvane Goddard and Maize. The new school is not without its problems, however, and now is experiencing a great deal of overcrowding (2200 students). 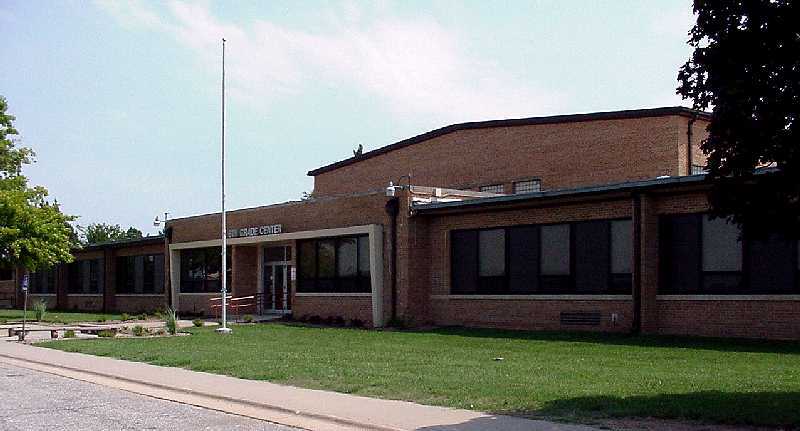 A bond issue was passed to add new classrooms and work has been completed on major additions to the building. One noticeable difference between the new and old schools is the immense amount of asphalt in parking lots around the new school. There are clearly a lot more students are driving to school than in 1964! 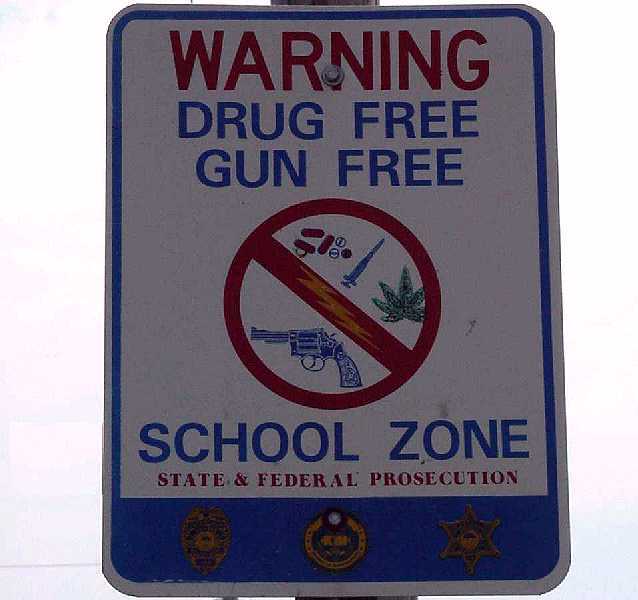 Another unhappy difference is that we never had a need for this sign that is now found around schools in Derby. Dave Rabe teaches at the new high school, and both Pamela Horn (Everhart) and Linda Delamarter (Lee) used teach in Derby. 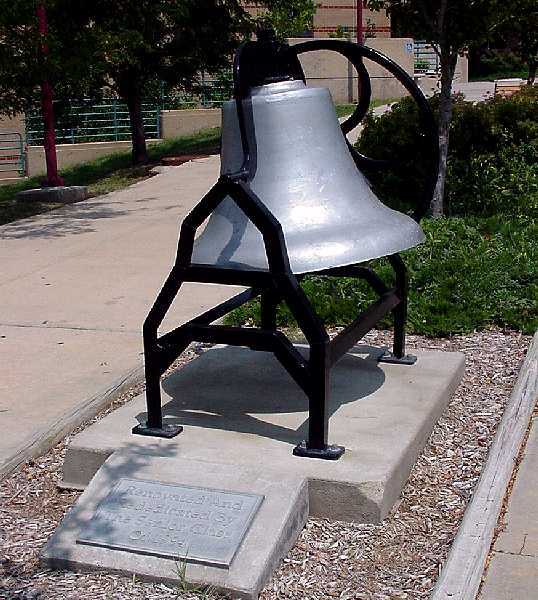 The old bell was moved to the new Derby High School and re-dedicated by the Class of 1994. In 1993, the Derby Alumni Association recognized those Derby graduates who gave their life for their country. 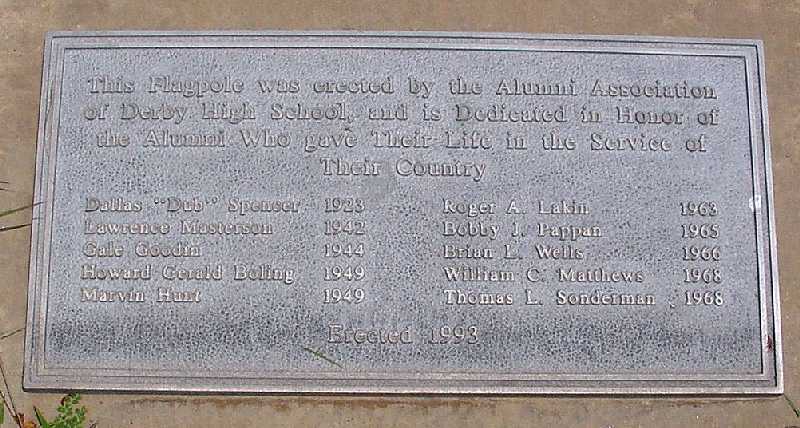 Thankfully, there were no 1964 graduates on this plaque. Dale Pulliam, however, was our classmate for many years and is, so far as I know, the only member of our class to die in Vietnam. Remember something cool about the Class of 1964??? Click here.